CONICET encourages scientific and technologic exchange and cooperation within the country apart from promoting bonds with international scientific communities. Thus, it fosters joint research and development projects with academic and scientific institutions at national and international levels. International cooperation plays a leading role in the field of Argentine science and technology as well as for new developments with added value. Considering this and according to the National Plan for Science, Technology and Innovation from the Ministry of Science, Technology and Productive Innovation, CONICET is committed to establishing lasting and profound bonds with the International scientific community. CONICET engages in international cooperation through agreements with institutions in charge of scientific and technological promotion and with other prestigious academic and scientific organizations. Thematic scientific exchange programmes with International partners. Global programmes in which CONICET has an International component. 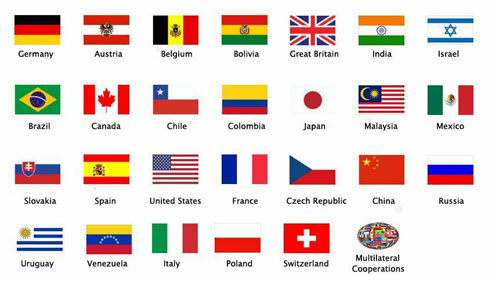 International consortiums in fields that require large investments. CONICET carries out different scientific cooperation projects with more than 30 countries.